The Buffalo range of pokies are a cornerstone of the Aristocrat portfolio, with several versions being spun off the original game, each with their own take on the topic of large woolly creatures stampeding around the North American wilderness. 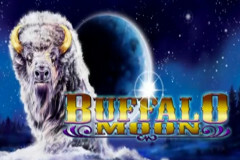 Buffalo Moon moves the action to night-time, but also gives players a choice of free spins games, where they can decide how many spins they want and what multipliers they would like to see occurring throughout. There’s also wild substitutions, scatter wins and the high returns that come as standard with all Aristocrat pokies, with lots of winning lines appearing in the normal run of play when at least 3 of the same symbol land on adjacent reels running from the left side. This ‘Xtra Reel Power’ layout sees symbols arranged over 5 reels in 4 rows and gives a grand total of 1,024 possibly ways for them to line up to create a winning combination, while scatter payouts can occur whenever the gold coin symbol stops in any positions. For a stake of 40 coins, all positions on the reels are permanently activated and players will usually see the standard 9, 10, J, Q, K and A playing card icons stopping across much of the game, as these bring in the most frequent wins, although also the ones that are worth the least amount each time. 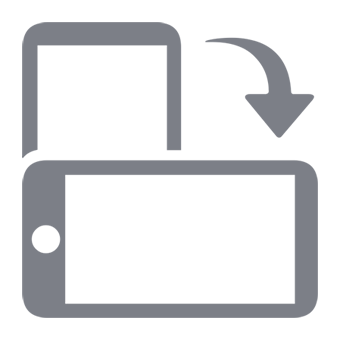 Picture symbols include a howling wolf, roaring mountain lion and a very cute otter that looks a little out of place, but is very appealing anyway. In this game, the buffalo has his white winter coat on and as with the rest of the range, he can appear stacked on the reels, which is a useful feature that has the potential to create multiple wins in a single spin. Bonus symbols include the Moon, which can substitute any other, apart from the scatter to help complete winning lines, while a big gold coin is the scatter that pays multiples of the total bet when landing on any 3 or more places, while also taking players to the free spins bonus game. This part of Buffalo Moon is where the real point of difference lies, as before the free games begin, players are given a number of options with regards to the ratio of spins to multiplier prizes. Players are taken to a screen that lines up green, purple, blue, red and yellow full Moon symbols which will become extra wilds during the free spins. They can choose the green Moon which starts 20 free spins, with any wild substitution wins being multiplied by 2x, 3x or 5x, while the purple Moon sees 15 spins play out, with wild multipliers of 3x, 5x or 8x in effect. The options go on like this until the yellow Moon has just 5 free games, but multipliers of 10x, 15x or even 30x in force. Overall, the returns are about the same with each option, so it’s just a matter of personal taste whether to see lots of spins play out or get them over and done with and have the smaller chance of a big reward. The Buffalo series are all successful pokies wherever they may be, with players attracted by the familiar icons that are seen across the range. Some may be a little a little disappointed to see the playing card symbols yet again, and perhaps it would be a nice change if Aristocrat adapted them just a little bit with each game so that they fit in with the theme. But at least people know what to expect when these appear, and they contrast nicely with the picture symbols, so overall this is a pretty good-looking pokie. The main feature is of course, the fact that players can pick and choose a free spins game and the wild multipliers that go with it, but players need to note that each option has several different potential multipliers attached, so while it’s possible for a 30x boost to any wild wins in the 5 yellow Moon round, it’s also possible to get just 10x, and don’t forget that they have only 5 spins in which to land a wild substitution. While it’s up to the individual player, perhaps a good option is to go for the blue Moon, as this takes the middle ground, with 10 free spins and wild multipliers of 5x, 8x or 10x.